It is important to have a Disability Advocate on your side to guide you through the application and appeals process from the beginning to the end. It should be noted, it can take Social Security a long time to make a decision. Once your application is filed, Social Security will send you more forms to complete regarding your symptoms, limitations and daily activities. Your medical records will be reviewed and sometimes Social Security will send you out for a medical consultative examination. Your Advocate will assist you in completing the forms and will get medical updates and records to Social Security to support your claim. It can take an average of 6 months to receive a decision. If your case is denied, the decision must be appealed within the time frame on your denial decision and your advocate will be able to Request a Hearing for you. Once the hearing is requested, your case will be assigned to an Office of Hearings Operations (OHO) close to where you live. The OHO offices in Michigan are located in Oak Park, Livonia, Detroit, Grand Rapids, Flint, Lansing and Mt Pleasant. 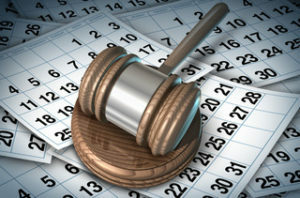 Your case will be scheduled for a hearing before an Administrative Law Judge (ALJ) within approximately 12-17 months . During this time, your advocate will continue to work on your case reviewing your file, requesting your updated medical records, and functional limitations from your Doctors, reviewing the relevant vocational issues, laws and regulations that support your case. Your advocate will prepare you for the hearing and attend it with you. The ALJ will send the written decision to you within a few months after the hearing.